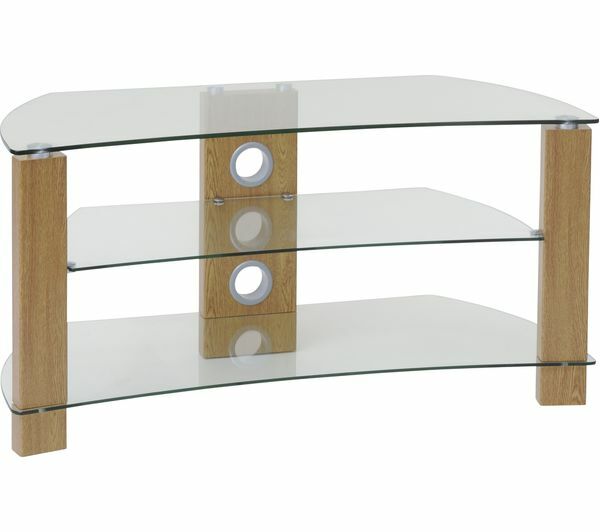 Display curved TVs up to 65"
Crafted to complement the latest curved TVs, the curved style of this wooden stand shows off the shape of your television. 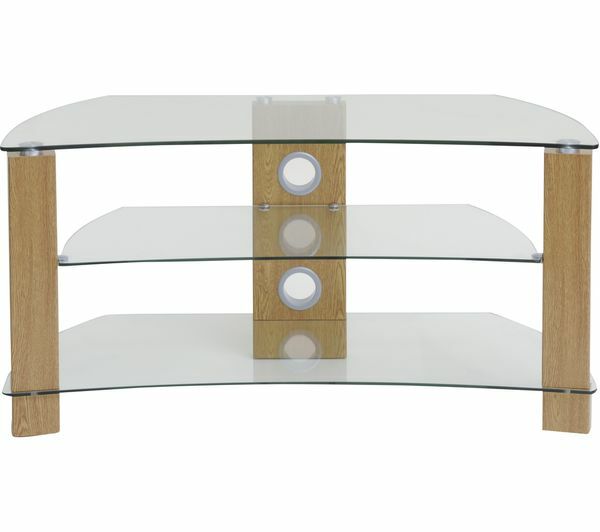 A contemporary yet minimal appearance makes it perfect for any modern living space. 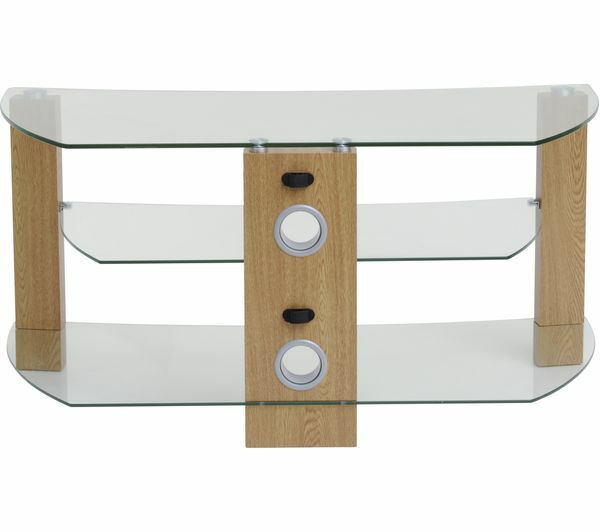 Toughened safety glass shelves lend a modern look and provide essential storage space for your Blu-ray player, games console, or sound bar audio system. 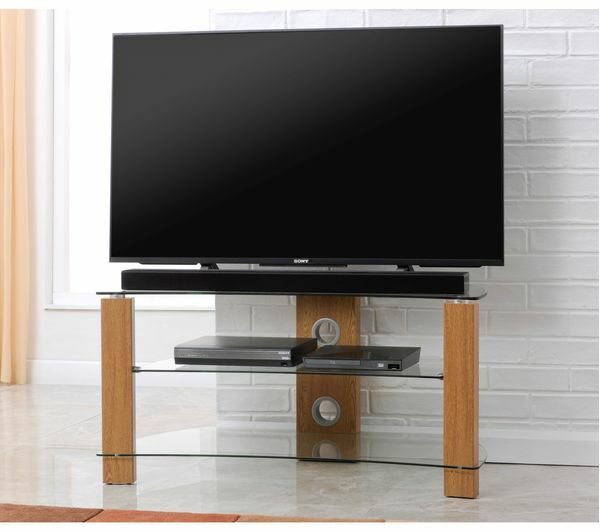 An open shelf design provides easy access to controls with no remote control signal blockage. 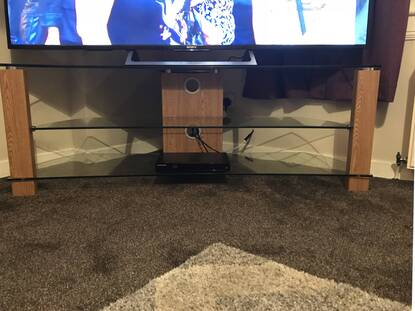 Built-in cable management hides unsightly cables to provide a neater way to display your electronics and keep your entertainment setup looking neat and tidy. 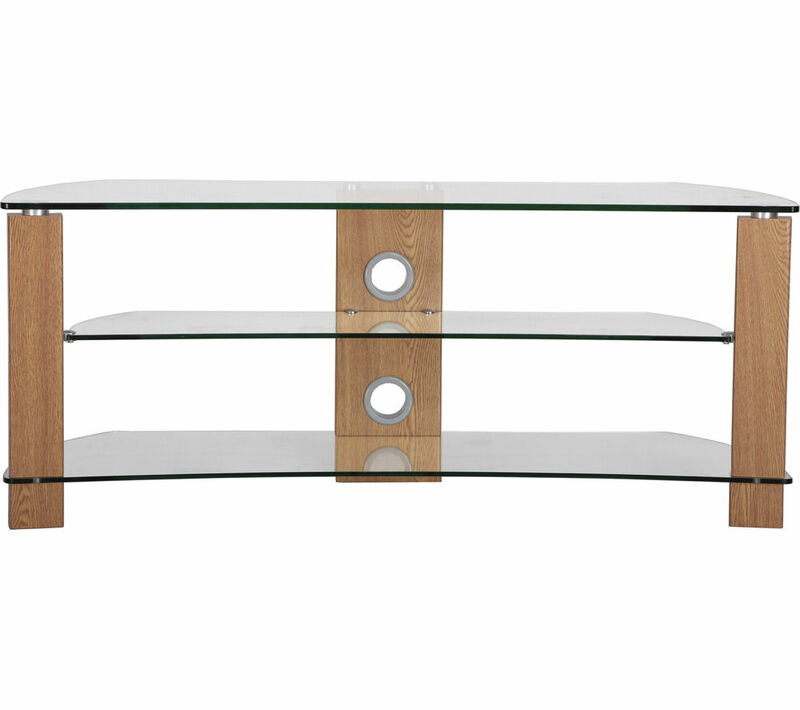 The Vision Curve 1400 TV Stand arrives flat packed making it easy to get into your home, and is quick to assemble in around 30 minutes. Very smart looks alot more expensive than it was... 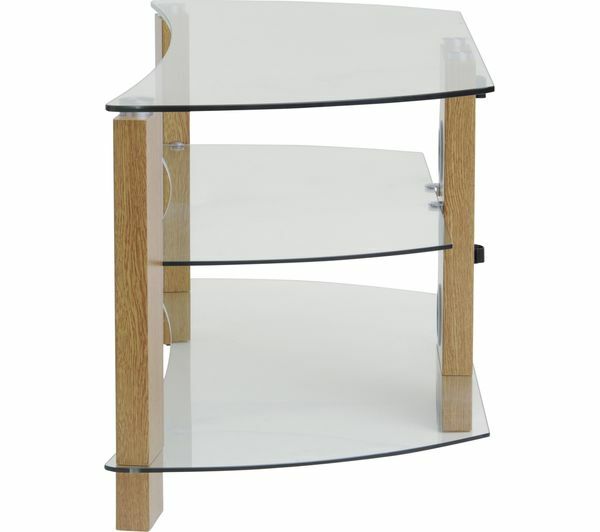 I looked at several in shops but none were in comparison price and looks wise for this kind of product. 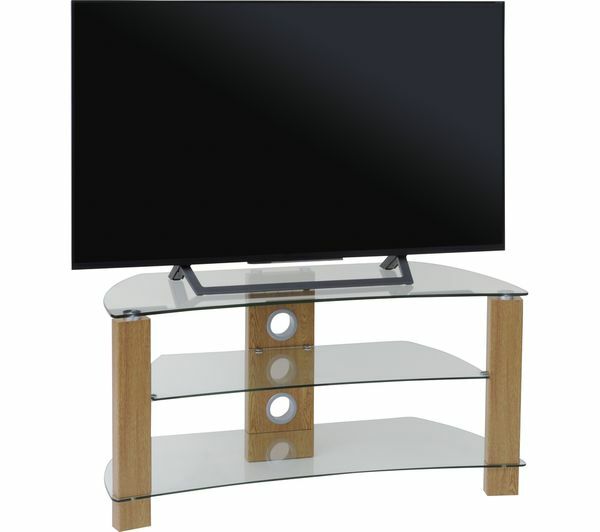 Very sturdy and fits a 65 inch curve on perfect with a little extra room. Would highly recommend.